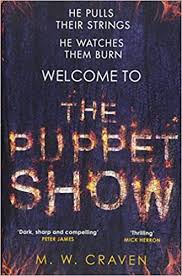 So here we go springing (or crawling depending on the ratio of fruit:mince pies consumed) into the New Year with a hugely enjoyable serial killer thriller, The Puppet Show from debut author, M. W. Craven. I could easily break this down into a short list of attractive features, as it ticked many boxes for me from the outset. A dryly witty maverick detective with exceptionally cool name, and hints of darkness in his past. Cute doggy called Edgar Poe (great name). Techno nerd providing inadvertent comedic moments. Fire obsessed serial killer. Pagan stone circles with a backdrop of one of my favourite areas of the country, Cumbria. However, as I’m known for my long, yes possibly too long, reviews I’ll tell you why all this worked so effectively throughout the book, so linger a while longer. This has to be one of the most intensely character driven thrillers I have read of late, and to be honest, Craven has paved the way for a series of books, that will accommodate them in whatever investigation for some time to come. In common with Stuart MacBride’s Logan Mcrae books for example, I have a feeling that these are characters, Poe himself and Tilly Bradshaw (aforementioned techno nerd) that you will immediately pick up on again even if you have to wait the usual year for a new book, and that is a great thing to nail this quickly. He’s also allowed himself a bit of wiggle room to flesh out another of the main characters, DI Flynn, as well as a tantalising opportunity to dig deeper into the darkness of Poe’s unsettled past, as well as building further on the fresh and entertaining interplay between these three characters generally. I really enjoyed the fluidity of the dialogue between the characters, and how Poe and Bradshaw gradually change and influence each other in differing ways but with a real feeling of yin and yang as his darkness is deflected by her light. Pretty deep huh? No, joking aside there is a lovely innocence and gentle joshing underpinning the more difficult sides of their characters, and it works superbly. As mentioned, Craven has picked a wonderful part of our green and pleasant land as his location, and uses it at every opportunity and extremely effectively to add an air of menace and drama to his dark and twisted tale. 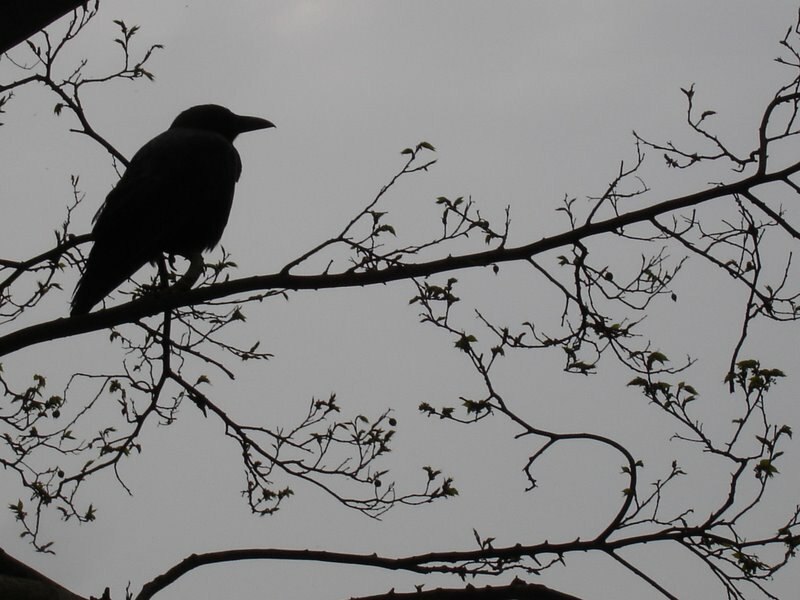 Highlighting the desolate and remote nature of the Cumbrian landscape, I felt it both mirrored and heightened the general sense of darkness at play in the killer’s psyche, the unfolding trauma of Poe’s own life, and the fact that Poe lives a solitary life in such a place is wholly in keeping with his own psyche. Using the stone circles that occur in multitudes throughout the region as the perpetrator’s killing sites is a neat touch linking the theme of sacrifice from the past to the present. Too often writers do not manipulate the landscape enough to add depth and colour to their central story, making their stories have the feel that they could just be plonked into any setting, but Craven (alongside authors like Mari Hannah and William Shaw) has definitely mastered the art of landscape in this one. And so to the plot itself, and with my familiar refrain of no spoilers here, there are no spoilers here! What plays out is a perfectly paced, twisty murder investigation with some surprising reveals, a really quite empathetic killer and (cue host of angels) a killer whose identity remained remarkably well hidden. So another box firmly ticked, and giving an overall feeling of tremendous satisfaction to this reader. I shall be recommending this at work and beyond on its publication later this month, and a cracking good read to start the year. Highly recommended.